The call for 2020 Engineering Excellence Awards competition begins in July 2019. The Engineering Excellence Awards program recognize exceptional ideas and innovations in engineering by showcasing your successful projects to a statewide audience of clients, industry leaders, legislators and other decision makers through the Engineering Excellence Awards competition. No matter how your project is judged, you'll come away a winner. Check out the top reasons to participate:The Engineering Excellence Awards program recognize exceptional ideas and innovations in engineering by showcasing your successful projects to a statewide audience of clients, industry leaders, legislators and other decision makers through the Engineering Excellence Awards competition. No matter how your project is judged, you'll come away a winner. Your clients will enjoy recognition at the popular Awards Banquet at The American Club. Your firm and the project team will earn valued third-party verification from clients and stakeholders. Your project is included in our full-color magazine distributed to The Daily Reporter’s 2,000 subscribers and posted on our website. Key stakeholders - including legislators - will receive the hard copy and electronic version of the magazine. 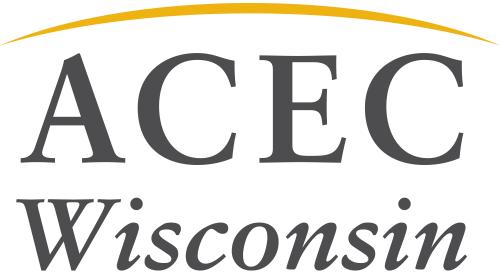 ACEC Wisconsin will feature your firm’s award blog on social media, our website and our newsletter that is sent to 1,500 subscribers. Promote your EEA project as an “Award Winner” in proposals and other collateral.